Did Your Child Suffer Brain Damage Or Physical Injury After A Difficult Labor And Delivery? Were You Injured During Labor Or Delivery? 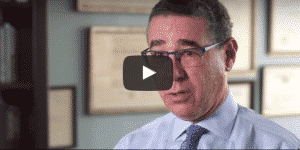 You Need Experienced New York Medical Malpractice Lawyers On Your Team. Head injury, permanent brain damage, cerebral palsy, Erb’s palsy, and seizure disorder are just some of the injuries a newborn can suffer during labor and delivery. In other instances, medical mismanagement by the obstetrician can lead to tragic consequences to the mother. Perhaps the most tragic aspect of these injuries is that many times, they are preventable. 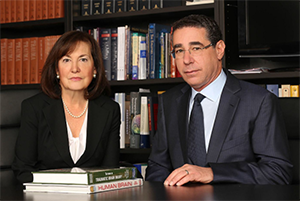 The attorneys at De Caro & Kaplen, LLP want to hear what happened to your child or to you. We can help you determine whether your child’s birth injury or your injury was caused by medical mismanagement or negligence. Erb’s palsy: When a baby travels down the birth canal, a large fetus or one that is improperly positioned can present dangers. In cases of Erb’s palsy, also known as shoulder dystocia, the baby gets trapped in the birth canal because it is too large to pass through the pelvis or is trying to pass in the wrong position. When too much traction is placed on the infant, injury to the brachial plexus (the group of nerves that run from the shoulder to the spine) takes place. This can cause permanent damage to the hands, arms, or shoulders. Proper techniques used by the doctor to reposition the baby can avoid Erb’s palsy. Physicians should be aware of the potential of this predictable obstetric emergency by determining the likely weight and position of the baby before active labor begins. This knowledge allows them to properly monitor the progression of labor and take the necessary steps to reposition the fetus before injury occurs or perform a C-section to prevent injury. Cerebral palsy: This condition is often caused by insufficient amounts of oxygen reaching the brain of the newborn prior to birth. Cerebral palsy can be prevented by carefully monitoring the baby during the progression of labor and delivery and promptly performing a caesarian section before brain damage occurs. Other birth injuries that can result from medical malpractice include preeclampsia, cranial or spinal cord injury, and umbilical cord strangulation. Obstetrical malpractice can also result in injury to the mother. Injuries to the cervix, uterus, and blood vessels frequently take place because of surgical errors that occur during vaginal delivery as well as delivery by caesarian section. The failure to promptly treat preeclampsia can tragically lead to the death of the mother. Women can also suffer from preventable infections that lead to tissue and nerve damage when placental tissue is improperly left behind in the uterus following childbirth. Failure to promptly respond to vaginal bleeding following delivery, a condition known as uterine atony, can also lead to permanent injury and even death of the mother. Our attorneys have represented many mothers who were needlessly harmed during the course of childbirth. Why De Caro & Kaplen, LLP? If you believe your child’s birth injury is the result of medical negligence, don’t you owe it to him or her to seek justice? At De Caro & Kaplen, LLP, our malpractice lawyers know what you’re up against—and we’ll stand by you every step of the way. 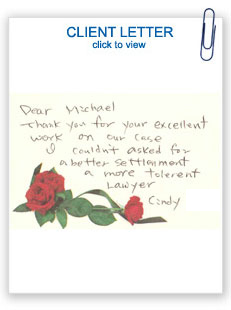 You pay nothing unless we obtain compensation on behalf of you and your child. Reach out to us today.